April residential sales in Alabama grew 16.3 percent year-over-year. During this same period, existing home sales nationwide increased 2.9 percent. The Alabama Center for Real Estate identified the top five most improved markets in Alabama during April of 2018, based on year-over-year residential sales data. Compared to last year, statewide median prices appreciated 1.7 percent. Moreover, four of the top five most improved markets are located in the southeastern part of the state. Dothan Area - This area had the largest year-over-year increase in total residential sales in Alabama during April of 2018. There were 145 total sales in the area, an increase of 42.2 percent from one year ago when 102 units were sold during April of 2017. April sales were 32.6 percent above the five-year average (2013-2017) of 106 closed transactions. April sales were 22.8 percent above ACRE's forecast of 118 sales for the area. ACRE forecasts a total of 1,431 residential sales in the Dothan area during 2018, a projected growth rate of 4 percent versus the 1,376 actual sales in the area during 2017. Phenix City Area - The second-highest percentage increase in Alabama in total sales volume during April of 2018 came from the Phenix City area where the 103 residential units sold were 30.4 percent above April 2017 results. Total sales were 33.3 percent above the 5-year quarterly average of 136 closed transactions. April sales were .96 percent below ACRE's forecast of 104 sales for the area. ACRE forecasts a total of 1,205 residential sales in the Phenix City area during 2018, a projected growth rate of 5.9 percent versus the 1,138 actual sales in the area during 2017. Wiregrass Area - This area was Alabama's third most improved market during the April of 2018. The 105 units sold were 25 percent above April 2017 results. Total sales were 56.7 percent above the 5-year quarterly average of 67 closed transactions. April sales were 22.09 percent above ACRE's forecast of 86 sales for the area. ACRE forecasts a total of 1,043 residential sales in the Wiregrass area during 2018, a projected decline of .38 percent versus the 1,047 actual sales in the area during 2017. Lee County - Lee County’s consistent growth continued in April. The area reported 196 residential sales during April of 2018, an increase of 24.8 percent from the 157 units sold during April of 2017. Total sales were 37.8 percent above the 5-year average of 142 closed transactions. April sales were 9.5 percent above ACRE's forecast of 179 sales for the area. 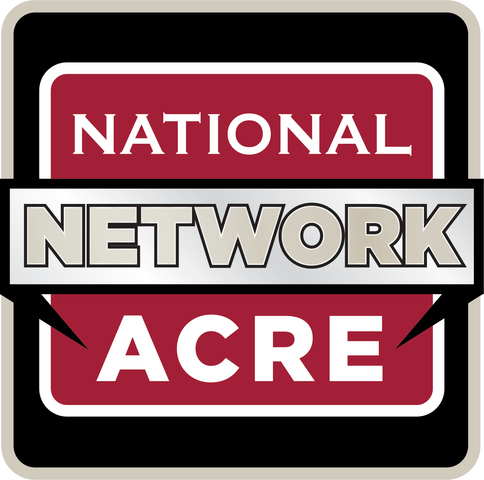 ACRE forecasts a total of 2,035 residential sales in Lee County during 2018, a projected growth rate of 9 percent versus the 1,867 actual sales in the area during 2017. Shoals Area - The Shoals area reported 181 residential sales during April of 2018, an increase of 24.8 percent from the 145 units sold during April of 2017. Total sales were 33.3 percent above the 5-year average of 136 closed transactions. April sales were 30.2 percent above ACRE's forecast of 139 sales for the area. ACRE forecasts a total of 1,688 residential sales in the Shoals area during 2018, a projected decline of 2 percent versus the 1,723 actual sales in the area during 2017.